Just how important is the quality of your mattress? Considering that more than a third of your life is spent sleeping, or simply trying to get a decent night’s rest, this sort of purchase is more significant than you might think. You’ll spend a whopping 25 years on one mattress or another, so why not shop smart and pick the right model for your needs. Many of us wish we could sleep better with less tossing and turning, but with so many mattress brands and styles available, shopping for one can be a confusing and exhausting proposition. 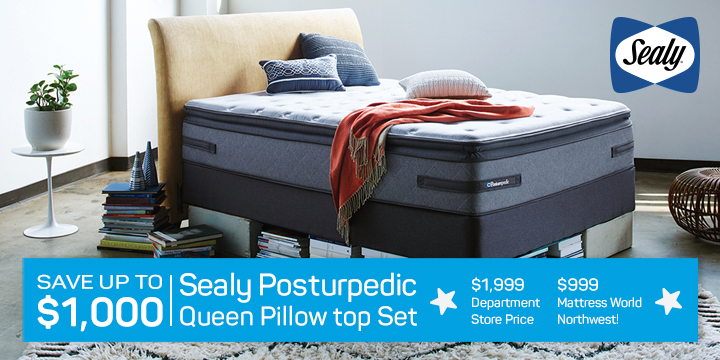 Mattress World Northwest is dedicated to helping our customers get a good night’s sleep. Whether you’re a first-time buyer or are looking to upgrade to the latest in sleep technology, we’re here to help you in selecting the perfect mattress. With eleven Oregon locations including Portland, Canby, Salem, Clackamas, Wilsonville and Beaverton, our stores carry all the leading brands and offer an unparalleled comfort guarantee. "If somebody came to me wanting to buy a mattress online I definitely would do everything I could to stop them from that... A mattress purchase is pretty serious if you step back and think about how much time you spend on it and what it means to your quality of life... it really needs to be a hands-on decision." It’s no secret that a solid night’s sleep can make a huge impact on your health and overall productivity. Use these tips to confidently navigate a showroom full of quality mattresses. Most mattresses need replacing every 8 to 10 years. If you’re beginning to feel the prick of inner spring coils, are rolling toward the center of the bed, notice visible wear and tear, or wake up tired with body aches, it’s time to start looking for a new mattress. Support and comfort are the two most critical factors to consider when purchasing a new mattress. You want the right level of firmness that evenly distributes weight for proper body alignment otherwise pressure points can lead to a fitful night of tossing and turning. A mattress that feels firm to the touch doesn’t necessarily offer firm support — a crucial point for those who suffer lower back problems. Always test drive your prospective mattress – if you can lie in one position comfortably for 10-15 minutes without that pins and needles feeling or hot spots, you’re on the right track! Never feel self-conscious during this process, and ask to try various brands and models within your price point. Recent studies have shown that by the age of 40, most people do better on a slightly softer mattress, since there’s less compression on the skin, which loses elasticity over time. 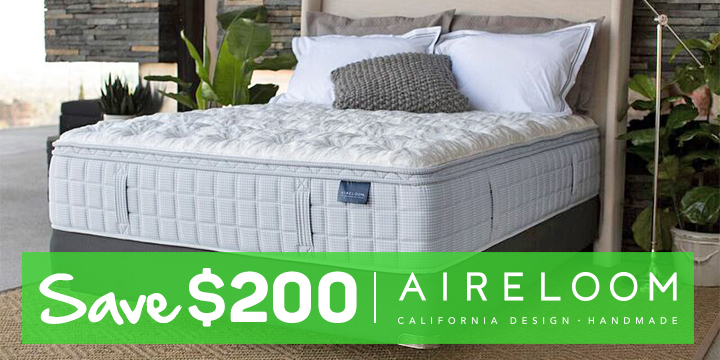 Traditional coil spring mattresses come in firm, plush and pillow-top, though hybrid models – designed to offer the best of both worlds -feature pocket coils topped with air memory foam. Memory foam mattresses are excellent for relieving pressure because of the way the foam completely conforms around the body. This type of mattress promotes proper spinal alignment and support, but can also retain heat. Anti-microbial and dust-mite resistant, latex mattresses are known for their myriad health benefits and are smart choices for people with allergies. Latex sleeps cooler than memory foam, is more durable and gives one the sensation of floating on a cloud. As always, comfort is very subjective so it pays to test drive at least a dozen mattresses in store to decide which is the most comfortable and supportive for you and your mate. Your sleep movements and the size of your partner should parlay into this decision. Nothing kills peaceful sleep like cramped quarters with a restless or kicking bedmate. Can’t decide between a Full, Queen or King? The width of the mattress should be enough to fold your arms behind your head without touching your partner’s elbows or extending beyond the bed’s edge. For additional reference, standard mattress dimensions are: Twin: 38×75 inches; Full: 53×75 inches; Queen: 60×80 inches; King: 76×80 inches; and California king: 72×84 inches. Most big box stores have strict policies about returns or exchanges, which is why it pays to shop with a trusted and local mattress retailer. Comfort guarantees can vary from shop to shop, but we believe our customers should take a full 60 days to ensure they truly love their new mattress. If for some reason you’re not completely satisfied with the purchase, you can exchange the mattress within 90 days with our assistance. Just remember to leave the manufacturer’s tag on. Make a wise investment – your health is worth it! A quality mattress is money well spent according to the comfort principle, which suggests you spend your money where you spend the most time (remember – 1/3 of your life is in bed!). By investing in a good night’s sleep, you are investing in your overall health and well-being. 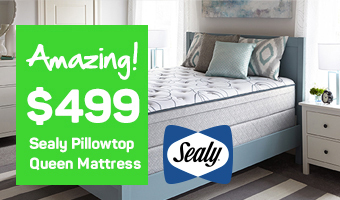 Mattress World has one of Oregon’s largest selections of brand name mattresses, including the latest models from Simmons, Aireloom, Sealy and Englander. To better accommodate customers of all budgets, we offer two flexible financing options, with no credit needed. Buy your mattress from a trusted local store! Don’t buy from a big box store or worse- don’t buy your mattress online! Known for our incredible selection, professional service and in-store deals, Mattress World Northwest welcomes you to stop by any one of our convenient greater- Portland area locations including Gresham, Happy Valley, Jantzen Beach, Glisan and Washington Square. We look forward to helping you buy the mattress you are looking for!